If you happen to read this story and know someone who worked for the Fire Walkers in the early sixties, I would like to add that person to one of the following lists. My contact numbers are listed below or you may simply post a note at the end of this Chapter. Photo: Shoulder patch that was designed by one of the Fire Crew and worn on our civilian jackets. The fist with lightening bolts was taken from the Strategic Air Command Crest. Over time I would like to include as many names as possible and post a short biography about each person, written either by the person named, by a friend or another Fire Walker or by someone from that persons extended family. A list of names is provided below. A picture of the training crew or of time spent at one of the three bases or future postings would also provide excellent background. Harold joined the Fire Walkers in Cold Lake in mid-1961 at the age of 20. In 1963 he transferred to Naval Station at Dockyard in Victoria, BC. After working in the Dockyard and Naden divisions, he left the DND to join the Oak Bay Police Department in 1964. After 30 years and the rank of Detective Sergeant he retired from the Police Service in 1994. In retirement he went on to spend another 14 years volunteering with Sports Organizations at the Local, Provincial, National and International level. In 2008 after having served three years as Chair of the Victoria venue of the U20 Men’s World Cup, he retired from volunteer service and began traveling with his wife of 25 years, Lynn McNeill (Davis). Harold and Lynn have a blended family of four: Jay, living in Victoria; Kari and husband Ed, in Kamloops with their son Grayson; Christine and husband Chris, in Kamloops and, the youngest, Sean, in the Vancouver/Victoria. 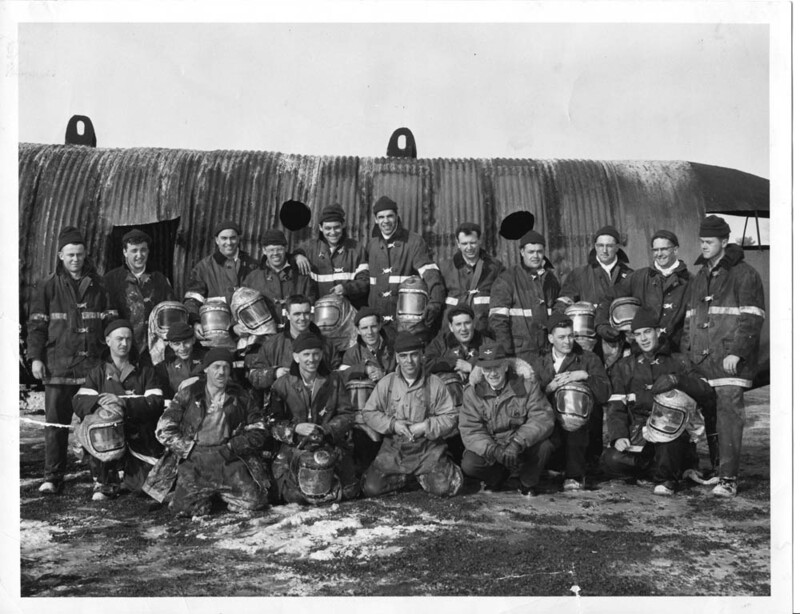 In the fall of 1961 Raymond Birn, at the age of 20, attended the “Aircraft Crash Rescue Course” at Camp Borden, graduating on December 22, 1961. 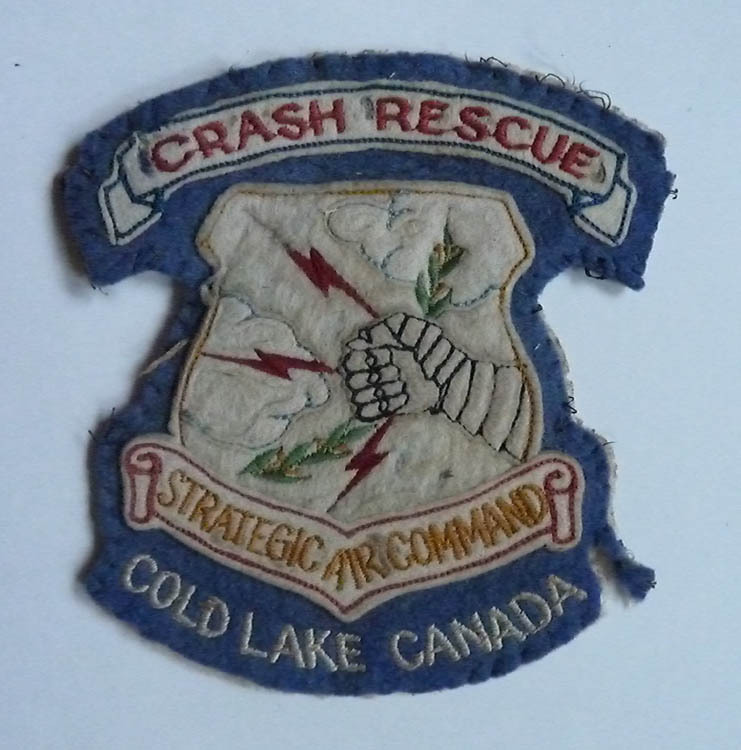 He was immediately hired on at the SAC Base in Cold Lake, Alberta, where he served until the tragic fire that burned down in the fall of 1962. He stayed on until he was transferred to SAC Base in Namao at the end of August 1963. Before leaving Cold Lake he married Lucienne Lefebvre, daughter of Ben and Lillian Lefebvre of Cold Lake. Not long after, Raymond transferred to the Edmonton International Airport, where he and his wife survived a very difficult time during two illegal strikes. There were a few noteable crashes that left an indelible on Raymond, one being a PWA transport loaded with cattle at Telford Lake near Leduc. There were several persons on board and non survived. Raymond and Lucienne have two sons, Bryan, born in 1976 and Kevin, born in 1978. Shortly after Bryan was born, Ray applied for a transfer to the Grande Prairie Regional Airport in Alberta, and was accepted for service July 1976. While serving there Raymond was promoted to Crew Chief. Raymond worked at Grand Prairie until the Government of Canada lay off all Crash Rescue Fire Fighters in May of 1995. With a fully paid up pension Raymond had 37 years of Fire Department service with the Canadian government. Raymond and Lucienne, who have now been married for 48 years, live in Wetaskiwin, Alberta. I have not yet been able to track down a photograph of this crew. It would include Morris Hill, Guy Venne and myself, to name but a few. The class completed just before Class 1962B arrived at Camp Borden to commence their training. Photo: Courtesy of Raymond Birn. We have not been able to definitively name everyone in the photo. The list above provides some clues. Camp Borden Training Crew 1962a. Photo Courtesy of Marcel Lirette. Signatures from back of photo posted below. 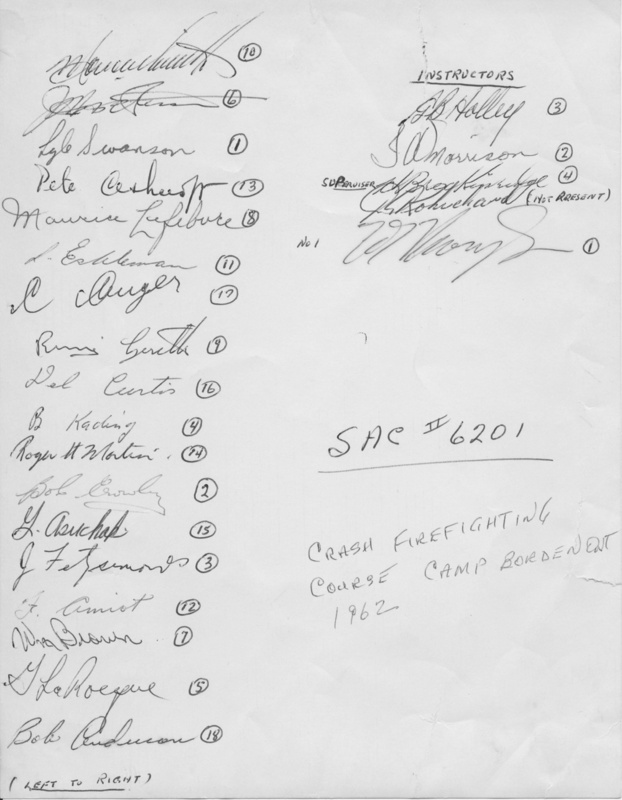 Participants Signatures for SAC Course: Camp Borden 1962a.